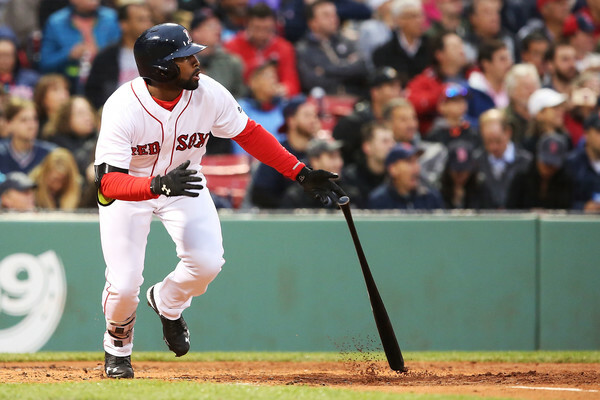 Jackie Bradley Jr. has hit in 28 straight games, smashing a ball off the monster in left off Jorge De La Rosa in what was about the most certain thing that was going to happen today. It’s not like De La Rosa actually poses a threat to get hot hitters out. Bradley Jr. ties Wade Boggs for the fourth longest hitting streak in Boston franchise history. And since hitting streaks are so fun we’ll probably continue to just chronicle this day by day like Deadspin is doing with Cardinal losses this season. You won’t see a longer hitting streak in baseball this season. Bradley Jr. is half way to history, since you’re reading that everywhere else on the internet tonight. He’s not going to ever arrive at history of course, but this is the breakout of another young player that at one point seemed like such a distant impossibility. It’s great to see.